Synchronizers are one of the key elements in a double-clutch (DCT) as well as in manual-transmissions (MT) and also in automated manual transmission (AMT) cars. 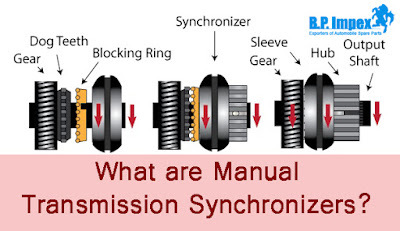 Synchronizers are one of the most vital components of a transmission, having interfaces to the output, the clutch, and due to the gear shift to the driver. To help you understand the concept of synchronizers better, the experts of the largest Suzuki Car Parts suppliers have grounded a blog for you.